I'm just going to admit that I am by no means an expert on making swimsuits, but I do enjoy the challenge for myself. So, it's a project I can have fun with and they don't take that long (especially after you've made a couple)! They can also be a lot cheaper!! You can use general polyester sewing thread. 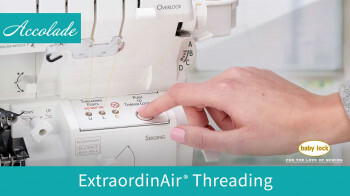 You'll want to make sure your machine is in good shape so you don't get missed stitches. And, definitely use a stretch needle! A serger is also so very helpful and professional looking! Pin and cut out pattern pieces (front and back bottoms) on the fold. Because of the design of my swim fabric, I placed my pattern accordingly to capture the design that I wanted my finished bottoms to display. Here are my front and back pieces cut out. I like to completely line my bottoms; this is different than most patterns; they usually just line the crotch. Lining the entire bottoms is just as easy and I like the strength and fit of it, as well. So, you can self-line, like I did, where I just cut out another front and back out of the same/extra fabric or you can cut out the 2 extra pieces out of actual swim lining. I haven't noticed a difference, I like both. In this case, I used the same fabric. Mark all relevant pattern marks (most importantly the marks for elastic). 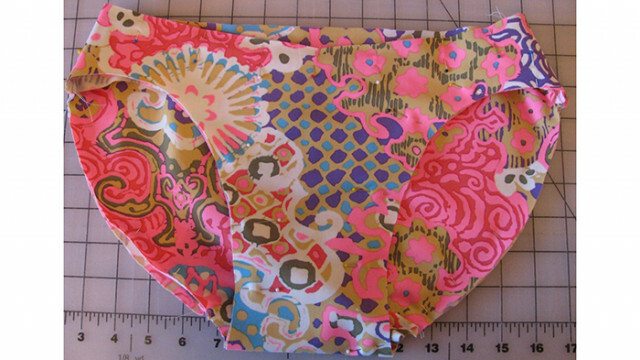 Remove pattern and open: Here is the back and the front of the bottoms opened up (my lining looks identical to this). Pin the center front crotch to the center back crotch, pinning at the center first. Below is a close up of the last picture (it's flipped, FYI). You'll have to stretch the back piece (at the crotch) to fit the curve of the front piece. Notice that they do not match up exactly (where my index finger is). The M5400 pattern says that you'll use 5/8" seam allowance, so it will match up right at that 5/8" line. After you've pinned the center and pin the sides of the crotch seam, stretch between your center pin and your outer pin and pin in between to allow for even distribution of the front to the back. See picture in step 3 to see how the entire crotch is pinned. Then, pin your side seams. This is a close up of the side seam, notice the un-alignment of the side seam (this is what I was trying to explain also with the crotch seam). This allows for the proper amount of seam allowance. You'll do the same pinning for the lining (remember my lining is the same fabric as my outer). Sew a 5/8" seam allowance on the outer and lining crotch and side seams. You'll need to slightly stretch the crotch to fit the back fabric to the front (this also allows for a little bit of stretch when worn). You'll also want to stretch the side seams a bit as you sew. I sewed my seams twice for extra support, stretching a bit again as I sewed. Then, cut all of your seam allowances in half to take out some bulk. Just a little FYI, shown below, your bottoms may "crinkle" a bit at the crotch seam. Don't worry, most of the time it will stretch and lay just right when worn. If you'd like to try on to test out fit, you may, but remember that the elastic seam/hem allowance will take care of some gapping and pull the bottoms in to fit curves (but, that's why I also, recommend making a mock up first to alter your pattern for better fit). Now, turn your outer fabric right side out and your lining fabric keep inside out. Place the lining inside the outer layer, so that your wrong sides will be together, matching evenly, your waist and leg holes, as well as, your side seams and crotch seams. Then, pin them evenly at the waist and leg holes. (Reminder: my lining and outer are the same fabric). If you are using a serger, set your pins back a bit from the leg holes and waistband because we absolutely do not want them to hit the blade! 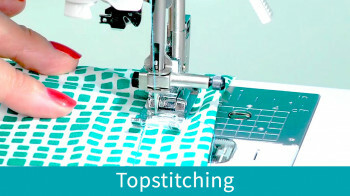 If you do not have a serger, try zig-zagging your two layers together. As I pin, I like to push one seam allowance completely forward and one completely back (rather than opening up my seams, they aren't quite as strong if opened). Here they are completely pinned at the leg holes and waist (sorry, the fabric is so busy, it's hard to see the pins)! Here is a close up pinned at the leg holes. Serge your waistband and leg holes to keep both layers together and for a professional look! (As I stated before, try zig-zagging your edges to keep them together, this type of fabric won't fray; zig-zag also allows for stretch). Cut, mark, match up and pin elastic according to your pattern. Match up elastic with the marks on your fabric and pin even with the edge of the leg holes and waist on the wrong side, or lining side (so, it will be inside out)! Then, stretch in between pinned and pin again in between and so on until you feel the elastic is evenly distributed. 10. Zig-zag sew your elastic on, stretching it to fit. (The zig zag on my Baby Lock sewing machine was set at 4.5 width and 3.5 length). Elastic completely zig-zagged on, shown below. Last step already! 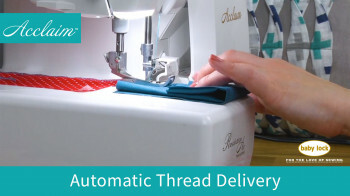 Now, you can use a cover stitch narrow if you have that capability, like my Baby Lock Diana Serger (or, here is a tutorial for the Baby Lock Evolution/Ovation Cover Stitch Set Up), or skip down a couple pictures to see zig-zag by sewing machine. So, you'll turn your swim bottoms right side out and fold your waist down one elastic width (shown in your pattern, as well). In the picture below, I have folded my elastic under and pushed the waist underneath (I did have to alleviate some presser foot pressure on the Baby Lock Diana as it is kind of thick). I also started just after a side seam and I lined up the edge so that I'd be stitching close to the bottom edge of the elastic (so that it won't roll out when worn). Just an FYI, do some test stitching before stitching on your actual fabric. The seams are pretty thick, so, hold tight at front and back when you approach a seam and don't stop or slow down while going over it. Showing the cover stitch on top here. After you stitch all the way around and overlap your end stitching over your beginning stitches (about an inch), roll your handwheel towards you once and backwards once to unlock the stitches. Then, lift the foot and smoothly pull your project out. Here is the back side. I have a serged edge, a zig-zag from sewing my elastic on, and a cover stitch from my Diana Serger. The cover stitch looks so awesome and professional! Here I zig-zagged instead of cover stitching. My Baby Lock Sewing Machine was set at 4.5 stitch width and 3.5 stitch length (test what you like before sewing on your actual garment). Finished product with a zig-zag finish rather than a cover stitch. Have fun! Let me know if something doesn't make sense or kindly add a comment if you have any helpful tips for sewing swimwear fabric!